Back on the “winter” venue which is fast becoming the “spring” venue while Carppuzzle waits for a new club ticket to arrive. This is visit No. 4 and on this occasion Jim joined me, swapping the X-Box for the tackle box. Much like the X-Box the first decision to make at the lake is what game we are going to play – stalking, bait and wait, or chase the shows. Today having looked around the lake and not seen anything bar two lads with a 18lb’er on bank we decide to bait and wait a southern corner of the lake where the last few rays of the afternoon sun would warm the water, reed line and hopefully the feeding carp. 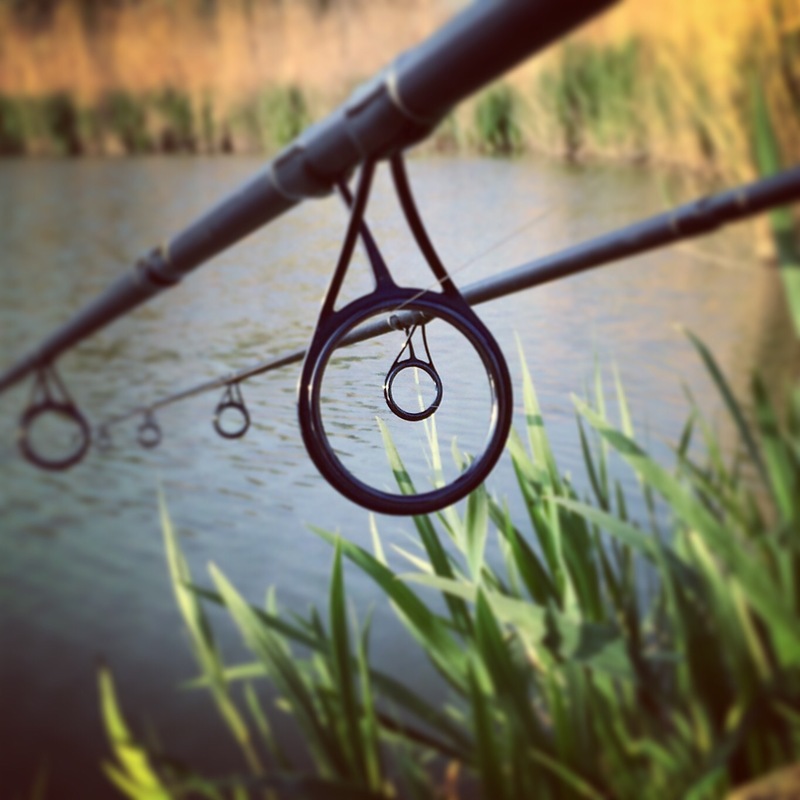 Next; weapons of choice; having got the range, the cast was only 50 yards, we stick with our favoured Sonik S3‘s and Tournos 8000‘s loaded with Fox 15lb mono plus Berkley fluorocarbon leaders – Follow The Leader. The BFG’s if you like from Doom for all you old skool gamers. And finally at the business end; KD rigs courtesy of Gardner and Korda end tackle and 3oz leads from The Lead Shed. Next; what ammunition to use; sticking to what you have confidence in, is what we are constantly being told, and for Carppuzzle that is Dynamite Monster Tigernut Red Amo, plus mixed particles for added crunch and sweetcorn for colour. Now we are ready to play and with two other gamers/carpers on the lake getting that high score/PB may be difficult especially as the lake is still silent, bereft or targets, where are those carp? It’s a short session this afternoon and bankside Jim tells me in gaming terminology we’re “camping”, sitting a corner of the “map” and waiting for the enemy or in our case the carp to take the hook bait. Lying in wait and the kettle goes on (don’t think there is one of these in the Call of Duty armoury ) and we wait. The minutes hours tick by and nothing, other carpers have logged off and we find ourselves alone on the lake as the sun sinks ever lower. I’m surprised we haven’t seen anything, previous blogs Show Time and Bucket List told us the lake was active late afternoon early evening but not on this occasion, not even liners. We walk around the lake a drop some more bait in the reed margin, reload the rigs and fire then out as they may not have been presenting correctly. We too, logged off the lake and packed the kit away. Driving home Jim and I agreed the carp “owned” us this time but we’ll be back and with a “patch” on that ammo. Previously I had glugged the boilies in coconut milk and thinking back to the angler who had the 31lb mirror ( Bucket List ) he said he’d put some tinned tuna in with his boilies. So hopefully with these upgrade we’ll “own” the lake on our next visit.